Oliver Pfuhl studied at the Technical University Munich and joined the Max- Planck-Institute for extraterrestrial physics (MPE) for his Diploma Thesis. He worked on optimizing the performance of the Very Large Telescope Interferometer (VLTI) instrument PRIMA. He then completed his PhD at MPE and the Ludwig Maximillian University under the supervision of Prof. Reinhard Genzel and Dr. Frank Eisenhauer. 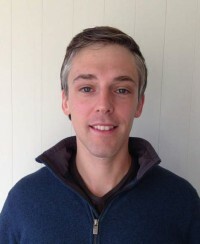 For his dissertation, "The GRAVITY Interferometer and the Milky Way's Nuclear Star Cluster", Oliver designed and built two key subsystems, the fiber coupler and the guiding system, for the second generation VLTI instrument GRAVITY. He also constrained the star formation history of the stellar cluster around the massive black hole in the Milky Way using an integral field spectroscopic sample of stars. He was awarded the Universe PhD Award for the best experimental dissertation by the Excellence Cluster for Astronomy in the Munich area. After his PhD in July 2012, Oliver Pfuhl took a postdoctoral position at MPE. He is currently seconded to ESO Chile for one year to ensure that GRAVITY is successfully commissioned at the VLTI. Oliver Pfuhl started his PhD in 2008 on the GRAVITY project and contributed to the overall design of this new VLTI instrument. He developed two key-components, the fibre coupler and the guiding system, which are key for enabling waveguide based stellar interferometry and for achieving the required astrometric accuracy and stability. The fibre coupler he designed is unique for its compactness, elegance, and innovative use of modern technology. The unit offers all the functions necessary for precision control of the optical path, including tip/tilt-, pupil-, and piston control, field de-rotation, and polarisation control. He also made an innovative design for the guiding system, which actively corrects for tiltand pupil errors resulting from numerous reflections over 100m of optical path between the telescopes and the instrument. The astrophysical part of Oliver Pfuhlʼs thesis is a spectroscopic study of more than 500 stars in the nuclear star cluster at the Galactic centre, which shows that this cluster formed most of its stars more than 5 billion years ago. The PhD thesis of Oliver Pfuhl was carried out under the Supervision of Prof. Reinhard Genzel and Dr. Frank Eisenhauer at the Max-Planck-Institute for extraterrestrial Physics, Garching, Germany, and the Ludwig-Maximilian University, Munich, Germany.